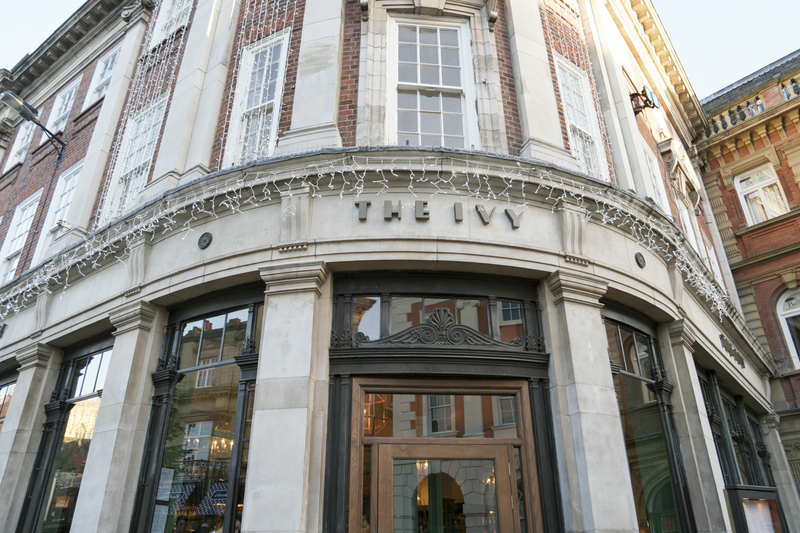 I’ve always wanted to go The Ivy, you know the Iconic London Restaurant. Maybe it was the allure of celebrity spotting or the promise of just great food? And now that they’re expanding the empire to the North, I thought it was the perfect pre birthday treat for me and my Mum. 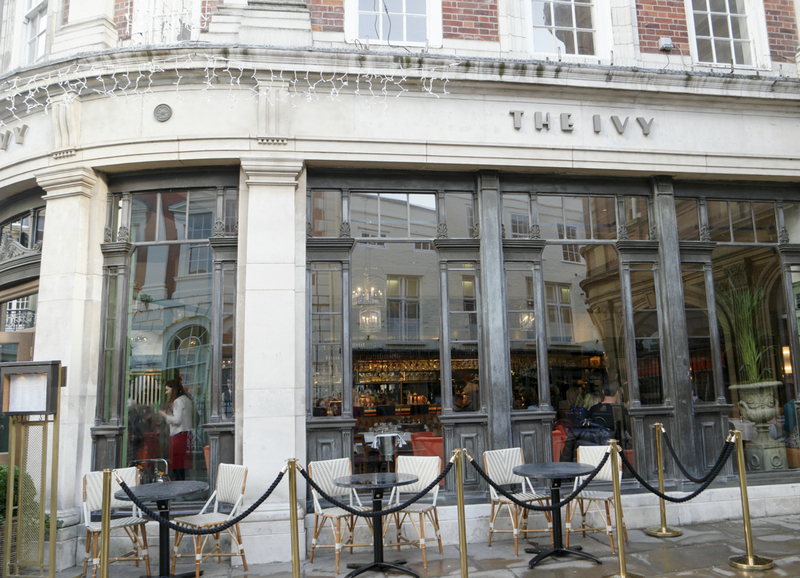 York is home to one of the newest members of The Ivy Collection. The Ivy York. 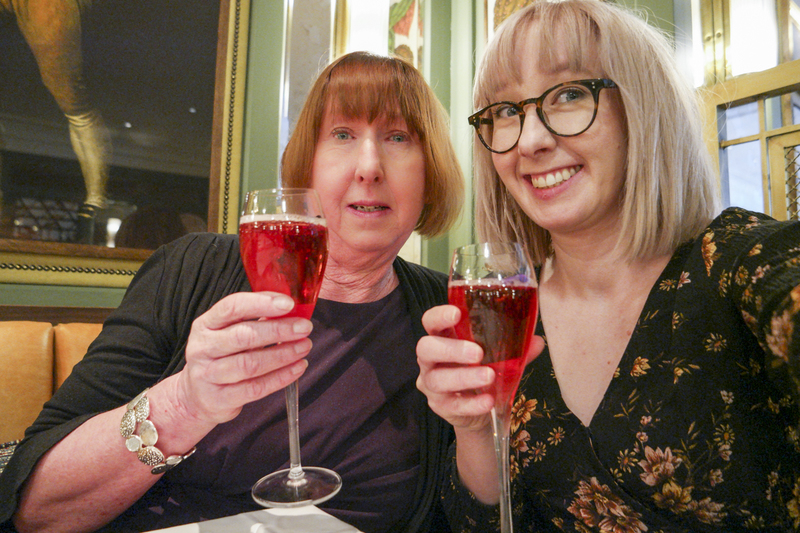 A table was booked for Saturday and off we trotted all glammed up for a day of shopping, delicious food and mother/daughter fun. Are you ready for some food pictures that will make you hungry? Well I hope you are, because well this was one of the best lunches I have had in a long time. Not only was the food excellent the service was fantastic too. Attentive wait staff, who we didn’t need to do that weird eye contact thing to get them to take our orders, they just seemed to know when we were ready. We started off with cocktails, because what is a birthday luncheon without cocktails?! 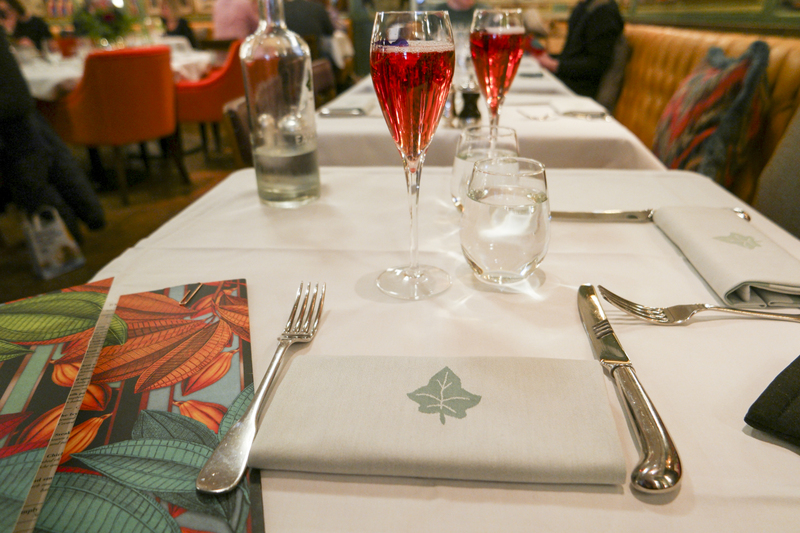 The Ivy Royal – Hibiscus gin, sloe infusion, rose water, Cremant, garnished with a little flower. Basically we would have been happy to people watch and drink cocktails all afternoon but we were there for the food too. Oh and a Selfie. See I told you we went all fancy. I even put on a dress and did my make up. Our cocktails were lovely and we sipped them while looking over the menu. I always stand by the I will order something that I wouldn’t cook or make at home mindset. I didn’t change for The Ivy York, I will also let slip that I spent the evening before looking at the menu. 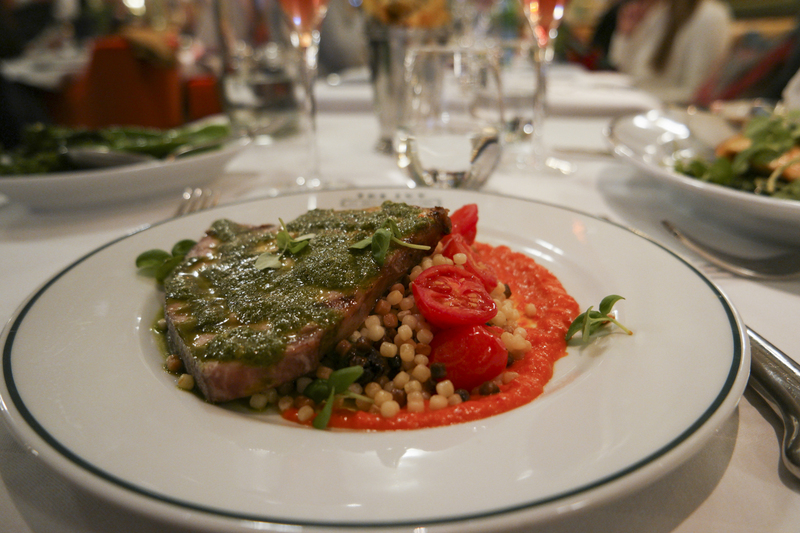 I had line caught Swordfish, which was so tasty and delicious. I had chosen this when I looked at the menu in advance but was almost swayed by the Dukka spiced sweet potato. Mum ordered the Roast salmon fillet and she said it was really good, to be honest salmon isn’t my first choice because it can be a bit fishy tasting sometimes. The bit that I tried (stole of Mums plate) was tasty and the texture of the salmon and crunchy smoked almonds really worked well together. We also got a side of broccoli and parmesan and truffle chips. This is the only part of the meal that i could fault. The chips were good and the parmesan and truffle topping was tasty, but it was just on the top few chips in a cone meaning the majority of the chips didn’t get any of the topping. Now we get to pudding. Oh hello you beauty. 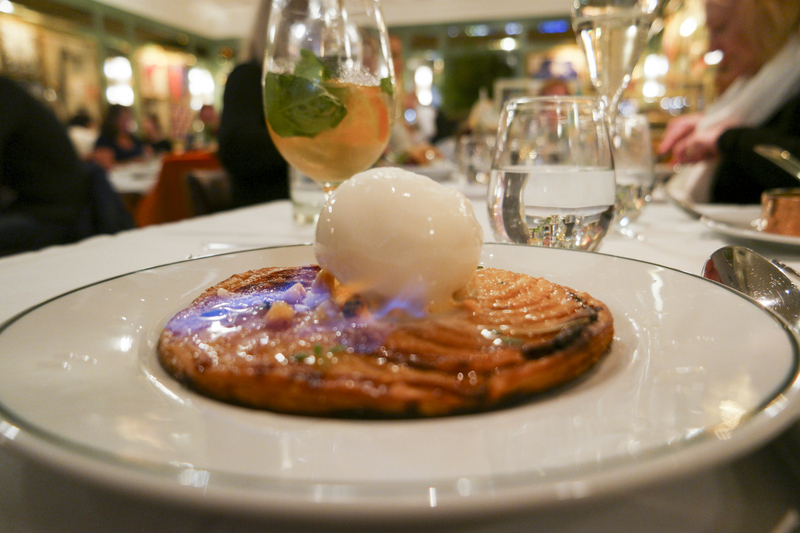 Apple Tart Fine, lemon sorbet and fire. I’m sold on a bit of table theatre, especially when it adds a bit extra something. With a warming brandy and apple you can’t go wrong. Mum ordered Crème Brûlée and it was also very good and a portion so big it was barely finishable. But we managed. There is something about simple food done well. 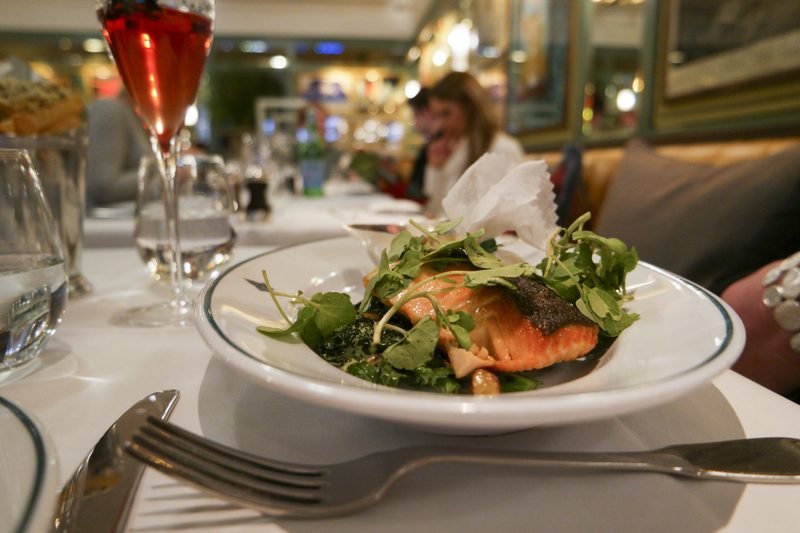 The Ivy York – Would I go back? Yes, I think I would. It wasn’t the cheapest lunch option but for a treat or a celebratory meal I would recommend it. The service was spot on and the food was really good. It was also nice that on a Saturday lunch we did not feel rushed. Sometimes you go for a meal and the waiters are hanging around ready for you to ask for the bill after you’ve finished your last mouthful of dessert. 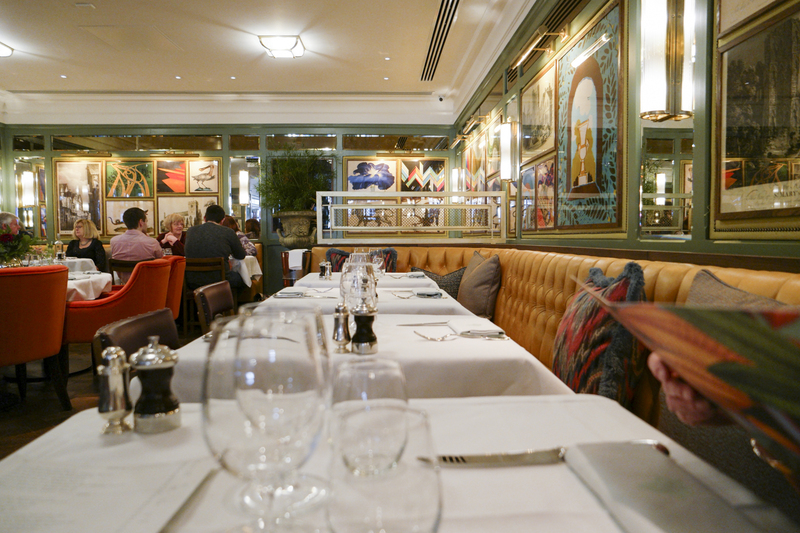 We spent almost 2 hours in The Ivy and didn’t feel like we had to finish our meals and rush off. As my Mum mentioned it was my birthday when she booked I also got a little treat, which I won’t spoil for you but it was very sweet of them to adapt to the fact that I was driving later on.